Making a difference, one patient at a time. Atlantic Homecare is a leading provider of homecare and medical staffing services throughout the Hampton Roads and Raleigh areas. Each and every day, our expert team of nurses, nursing assistants and companions deliver exceptional care and service to our patients and clients of all ages with a wide range of healthcare needs. Our clients and families entrust us with their care because of our sincere compassion and dedication to providing consistent, high-quality care and service. Atlantic Homecare is trusted by families to provide the highest level of skilled nursing with the most challenging health conditions. We partner with clients and their families to provide tailored services to each individual. 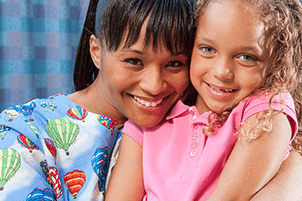 Our highly skilled nursing care specialists support chronically ill patients at home, schools, or anywhere in the community for up to 24 hours daily. Atlantic Homecare provides a full complement of services to allow you or your loved one to remain safe and independent at home. We provide assistance with activities of daily living, companionship, conversation and much more. 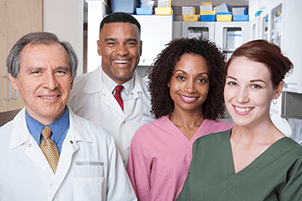 Atlantic Homecare has extensive experience in providing flexible staffing services to meet a wide array of needs for medical personnel in various organizations and facilities. These include, but are not limited to settings such as hospitals, schools, nursing and assisted living facilities, prisons, clinics, as well as supplemental staffing back up for Medicare/Intermittent based agencies. At Atlantic Homecare, we have a strong belief that it is not enough to simply provide qualified caregivers to our patients and clients. It is only when care is delivered with sincere compassion and respect that true quality of care can be achieved. This is the guiding principle of Atlantic and comes from our own personal experiences needing homecare for family members. We understand the significance and impact that a positive, compassionate, and dedicated caregiver provides far beyond necessary tasks of care. Atlantic is committed to all of our clients and employees entrusting our team as though we are taking care of our own family. This is our pledge to those we serve.